I was preparing to write this post for a long time already. I dunno why I'm starting to procrastinate when trying to write a post... that's why you don't hear much from me recently. I hope to put all my pieces back together (havaqem indz) soon and return back to track. He's one of my biggest discoveries of this summer. 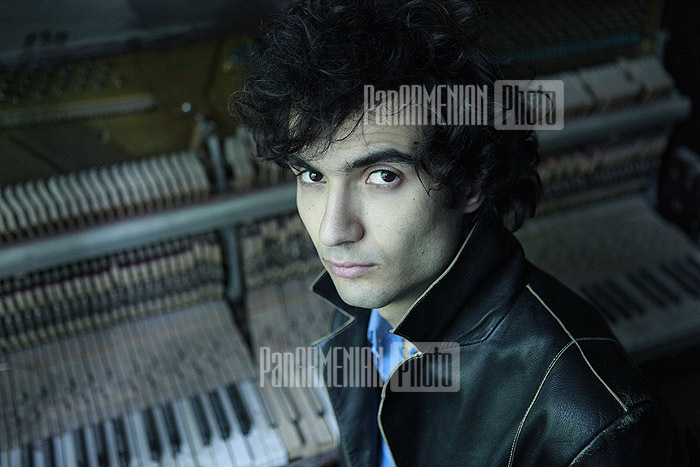 He was born in Gyumri, lives in US currently and is only 22 years old now. When you listen to his music you can imagine how great he will become one day. I was lucky to attend his concert in Yerevan. Wonderful design of a blog!!! How did you make it??? I'm thinking about 101 things to do in Yerevan, I just want to write SOME things. About the 101 things, I'm waiting for your ideas!